It’s no secret the IRS has been actively enforcing the Affordable Care Act’s Employer Mandate. To date, the IRS has identified a total of 49,259 employers that did not comply with the ACA for the 2015 tax year alone. So far, that’s more than 30,000 Letter 226J tax notices that have been issued with penalty assessments for more than $4.4 billion. The IRS has started issuing Letter 5699 notices to organizations that the IRS believes were Applicable Large Employers (ALEs) that failed to file information returns for the 2016 reporting year. ALEs are employers with 50 or more full-time or full-time equivalent employees and are required to offer Minimum Essential Coverage (MEC) to at least 95% of their full-time workforce and their dependents whereby such coverage meets Minimum Value (MV) and is affordable for the employee or be subject to IRS 4980H penalties. The IRS requires ALEs to file information returns with the agency and provide statements to their full-time employees relating to whether they were offered health insurance and coverage to the employees (and their dependents), and if so, certain details about that health insurance coverage. 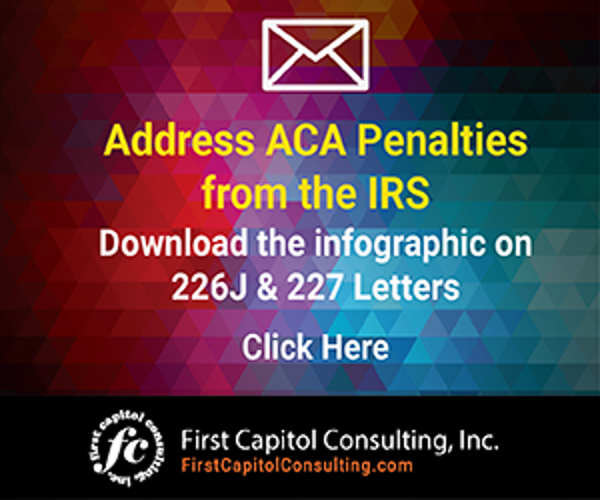 Once the IRS has gone through this Letter 5699 exercise, we can expect the agency to start issuing Letter 226J penalty notices to those employers that are determined to be non-compliant with the ACA for the 2016 reporting year. The issuance of a Premium Tax Credit (PTC) to an employee triggers the issuance of a Letter 226J penalty notice. The best way to potentially avoid an IRS Letter 226J is to successfully appeal the Exchange Notice. An Exchange Notice is issued to employers by state and federal health exchanges notifying them that at least one full-time or full-time equivalent employee applied for health coverage through a state or federal health exchange and was deemed eligible to receive a Premium Tax Credit (PTC). The employee was deemed eligible for the PTC because he or she claimed that he or she did not receive an offer of Minimum Essential Coverage (MEC) from his/her employer or did not receive an offer of coverage that was affordable and met Minimum Value (MV). In order to successfully appeal the Exchange Notice, an organization must have documentation readily on hand. The offer of coverage and the details of that coverage are key for successfully appealing the notice. Organizations, must also be able to explain their methodology for tracking hours to determine full-time status. Proper understanding of the tracking of employees to apply one of the IRS’ approved measurement methods is critical. This penalty will be triggered if the employer failed to offer Minimum Essential Coverage (MEC) to at least 95% of their full-time workforce and their dependents. This penalty is triggered for each full-time employee who receives a Premium Tax Credit (PTC) when purchasing health insurance from a government exchange like HR.gov because he or she indicated to the exchange that the coverage offered by the employer was unaffordable and/or did not meet Minimum Value (MV). Some organizations have reported penalty assessments in the millions of dollars. The Congressional Budget Office has estimated that $12 billion in ACA penalties will be assessed by the IRS in 2018. 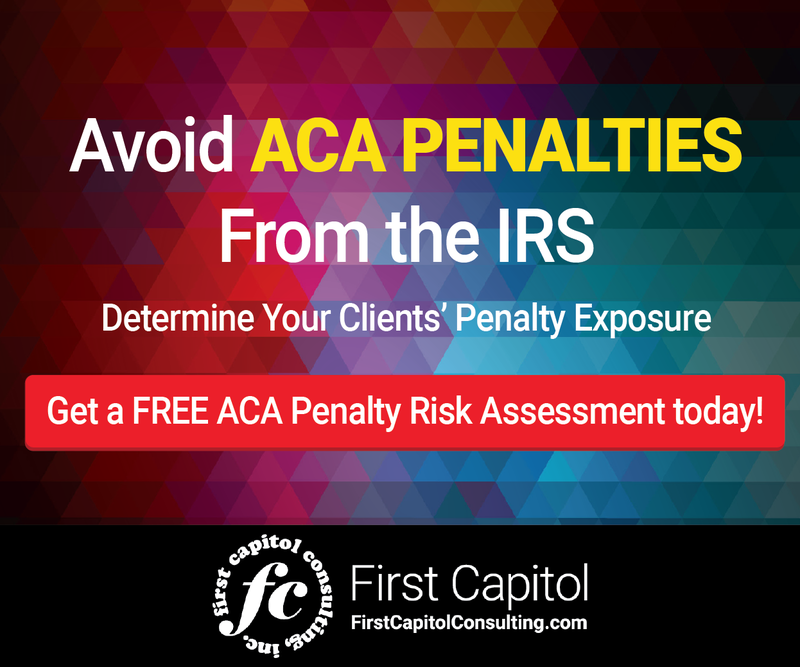 You can learn more about avoiding IRS penalties by downloading our ACA Penalty Prevention Guide. If your organization is to successfully appeal an Exchange Notice, consider outsourcing a third-party expert. Many companies that specialize in ACA compliance will implement the correct measurement method, explain coverage periods, track documentation, validate your data sources and provide unlimited expertise. As the IRS continues to issue penalty notices, can your organization successfully handle an Exchange Notice? To learn more about ACA compliance and ACA reporting in 2018, click here. A strong ACA compliance process can lead to successful appeals of Exchange Notices and prevent receipt of IRS Letter 226J and financial penalties.